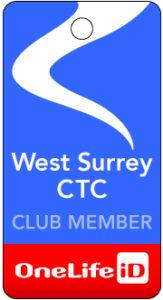 A quick reminder that the very final date for placing an order for club clothing is this Sunday, 19th November; see the blog post of 20th October. The cost of individual orders is prohibitive, which is the reason why we order in batches; once this order has been placed it may be some time before demand is sufficient to warrant another batch order, so if you want some more kit, I suggest you order now. You will see that generous Club discounts have been made available. Please e-mail me if you have any queries.